With more than sixty languages still in use, each with a rich oral tradition, it’s difficult to talk about a single national body of literature in Peru. From the start, the concepts of nation, modernity and literature have revealed more about the country’s social and cultural lack of integration than any reality desired by the critics and politicians who have sought to amalgamate and harmonise them together. “Official” Peruvian literature has always maintained an ambiguous and convoluted relationship with the idea of a modern nation. Ever since the triumph of the Enlightenment in the politics at the end of the 18th and beginning of the 19th centuries, modern nationalism has emerged as a cultural device that has fed and been fed by the need to create a homogenising state as a model rather than a moderator. But the reality is quite different and this can be witnessed by a short overview of the country’s immense literary richness. After independence from Spain in 1821, an ethnic criollo identity—that of Peruvian-born descendants of Spaniards—prevailed to the point that in legislative and economic terms, the idea of “Peruvian citizenship” became more of a gesture of good will than a recognition of the profound cultural and economic differences among the heterogeneous inhabitants of the country. However, most literary critics today agree that it will no longer do to speak only of a single literary system in the country. There are at least three: the “official” literature, written in “educated” Spanish and published in traditional outlets such as books and genres derived from the European tradition; “popular” literature, also in Spanish, but transmitted and circulated orally, that is generally anonymous and performative; and the great array of indigenous literatures, mainly in Quechua and Aymara, but also in the sixty other languages of the Peruvian Amazon. In general, this last system is a series of autonomous subsystems, generally through oral transmission, and often connected to specific contexts of collective ritual expression. However, important examples of written indigenous literature have also existed since colonial times. In spite of its cosmopolitan aspirations, in the so-called traditional “official Peruvian literature” the past and its traumas keep appearing as a constant revelation of a universe of multifarious or formalised oral traditions which undergirds the shape of more canonic works. These two strands maintain a secret and subterranean dialogue. Because of this, the languages that constitute the aesthetic world among the different social subjects of the Peruvian landscape underlie and penetrate the intellectual circles as well as the main trends, genres and works of the official tradition. Repressed orality constantly returns, to the point of contributing to the dynamic formal experimentation that some of the best known of our Spanish-speaking “national” authors have used in their work in the 20th and 21st centuries. 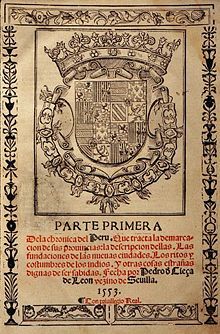 In view of the discursive tensions that have existed since 1532 (the year in which the Spanish conquest began), it’s useful to look at some of the patterns that have set in since the Inca Garcilaso and Guaman Poma de Ayala in the 17th century to the modern works of César Vallejo, José María Arguedas, Mario Vargas Llosa, Oswaldo Reynoso and Miguel Gutiérrez, among others. José Mazzotti is a professor of Latin American Literature in the Department of Romance Languages at Tufts University. A poet and literary critic, he is also president of the International Association of Peruvianists and director of the Revista de Crítica Literaria Latinoamericana. His books include Coros mestizos del Inca Garcilaso: resonancias andinas (1996), Poéticas del flujo: migración y violencia verbales en el Perú de los 80 (2002), Incan Insights: El Inca Garcilaso’s Hints to Andean Readers (2008), eight collections of poetry, and several edited and co-edited volumes on Latin American and Latino studies.